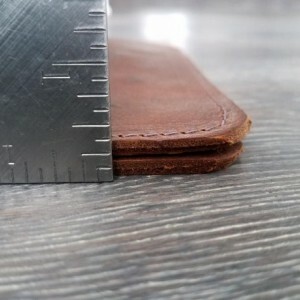 Listing is for one handmade leather Field Notes Cover. 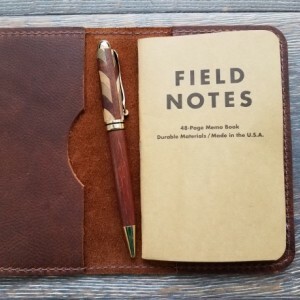 The field notes notepad and pen are not included, but in the photo for reference. 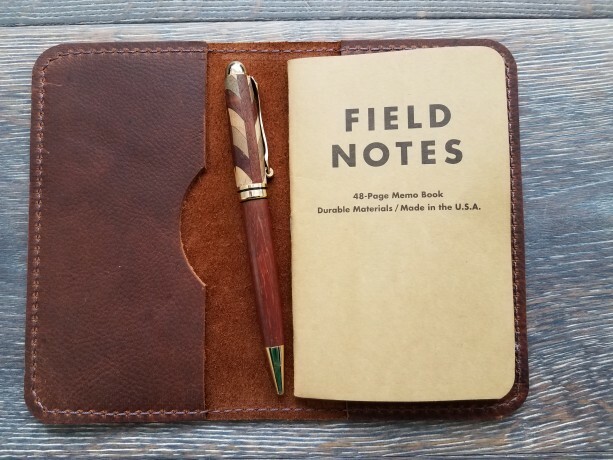 This Cover is a great way to protect your Field Notes or other 3.5" X 5.5" notepad from the elements and abuse they take from every day carry. 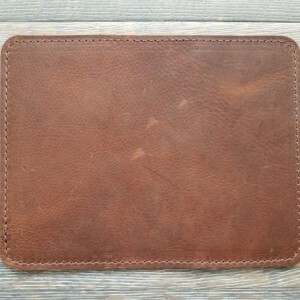 The cover is made of high quality oil tanned Kodiak leather and bonded polyester thread for ultimate durability and resistance to the elements. 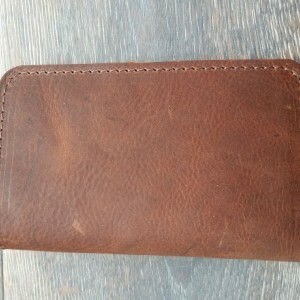 The leather will show scuffs and develop a nice patina with use. 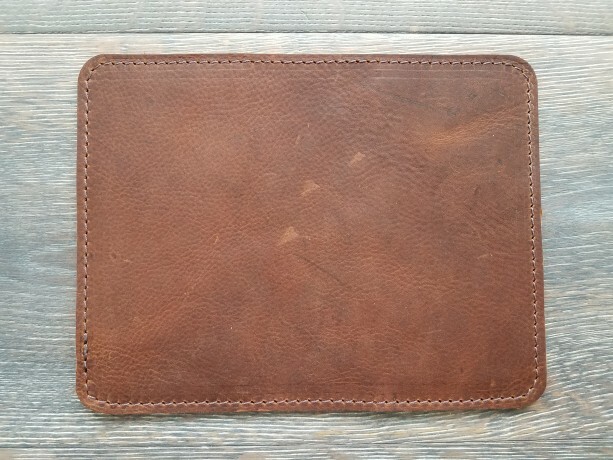 It is handmade in the USA one at a time by myself and five year old son. 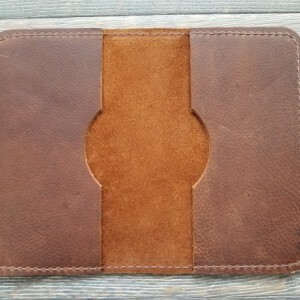 We hand cut, assemble and machine stitch each one. 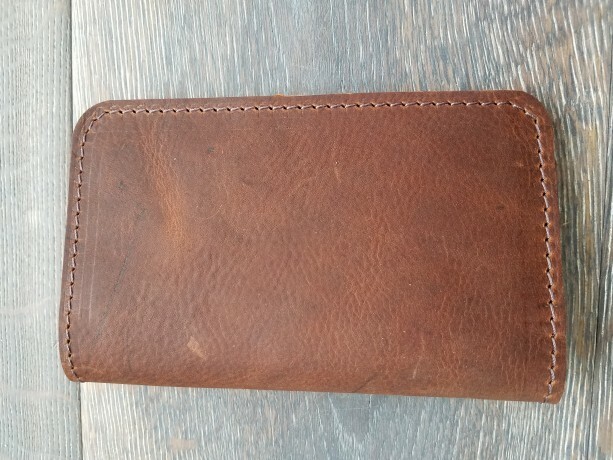 It is handmade so there may be slight variations in stitching, edges, etc. 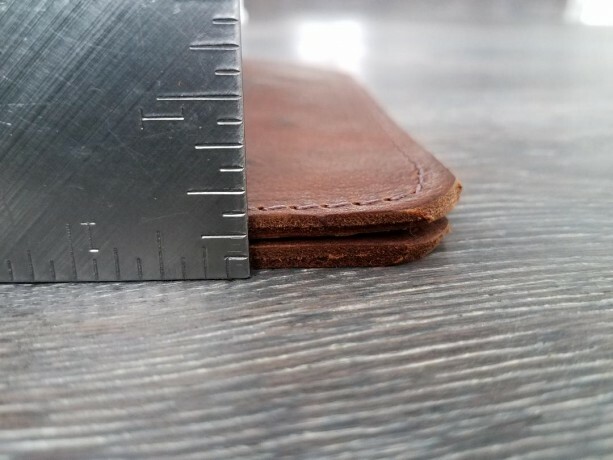 Due to natural variations in leather each one has a slightly different and unique grain pattern. 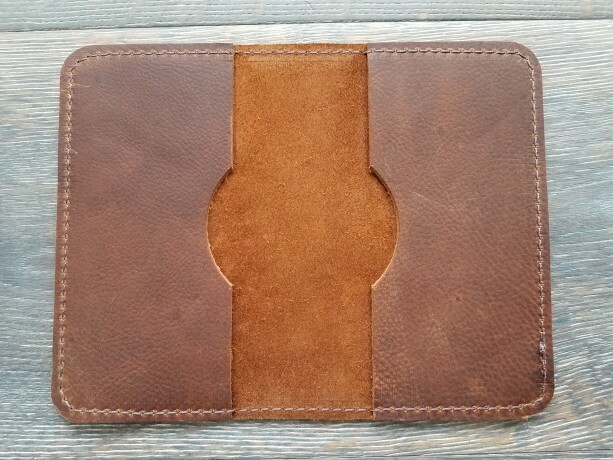 I strive to use as much as the hide as possible so the leather may include brands, bug bites, range marks or other variations. I believe these enhance the individual character of the cover. The design is symmetrical and reversible both front to back or top to bottom so you are free to choose which side or orientation you wish to have forward. I understand it is difficult to buy things online, but after you receive it and are not happy simply return it unused within two weeks for a refund. Any questions please ask!